The Old Rectory Coach House offers cosy and comfortable self catering accommodation in the heart of Sampford Brett - a tranquil and pretty village, nestling between Exmoor, the Quantock Hills and the Somerset coast. It is truly the perfect place for a short break! Farm View has one large double bedroom and one twin room with bunks (and a sofa bed in the lounge) whereas The Elms has two double bedrooms. Both properties are equipped to a very high standard and tariffs are inclusive of central heating, plentiful hot water, bedlinen and fluffy towels. 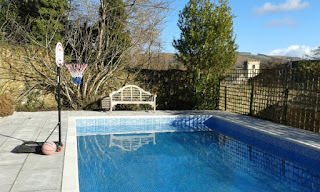 There is an outdoor swimming pool, trampoline, climbing frame and extensive gardens for play and relaxation. The Old Rectory Coach House is ideal for families, walkers and cyclists, and provides very easy access to an extensive network of footpaths and bridleways. This includes the Coleridge Way and Macmillan Way West which are routed through the village. 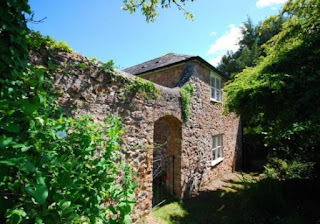 To the south and east of the village there is a good view of the Quantock Hills and it is shielded from the main road by the rising hill to the north.